West Virginia Del. Joshua Higginbotham, a Republican, touted the number of jobs created by the gas and oil industry in West Virginia during a Jan. 23 interview with West Virginia Public Broadcasting. “Tens of thousands of jobs (are) created in West Virginia by the natural gas and oil industries,” Higginbotham said. Have that many jobs been created by the industry within West Virginia? The answer is more complicated than we initially expected — so much so that we’re not providing a Truth-O-Meter rating for his statement. Instead, we’ll look at a few different ways of measuring this statistic, each of which have their own benefits and drawbacks. We did not hear back Higginbotham’s office for this article, but we did receive a response from Jennifer Cox, the manager of member services at West Virginia’s Oil and Natural Gas Association. Cox referred us to data from “Impacts of the Oil and Natural Gas Industry on the US Economy in 2015,” a 2017 report published by the American Petroleum Institute, a national trade group. According to this report, West Virginia had 70,874 total jobs in the natural gas and oil industry in 2015. The figure in the report includes three classes of jobs. The state had 38,211 direct jobs in the oil and natural gas industry. These jobs are “primarily engaged in the drilling, well servicing, exploration, production, gathering, processing, marketing, transportation, storage of distribution of oil and/or natural gas,” Cox said. In addition, the state had 9,309 indirect jobs, which helped provide needed goods or services to the industry. Finally, the industry induced another 23,353 jobs, which were supported by expenditures by people employed within the oil and natural gas industries. It’s important note that this data comes from the industry itself, rather than an independent arbiter. It’s also important to note that this data is a few years old. In an industry that’s subject to expansions and contractions based on the state of the international energy market, a data lag that long can make a difference. For instance, a different American Petroleum Institute report for West Virginia published two years earlier than the report referenced above found a larger number for oil and gas jobs in West Virginia — 80,400 direct, indirect and induced jobs. Even if you limit the number to direct jobs, the most recent API report bolsters Higginbotham’s description of “tens of thousands of jobs,” since it cites 38,211 direct jobs. However, Brian Lego, an assistant researcher professor at West Virginia University’s Bureau of Business and Economic Research, told PolitiFact West Virginia that it’s possible the numbers could turn out differently if the methodology was changed. So we kept looking. And it turns out that Lego was right. We turned next to the federal government’s official employment database, collected by the Bureau of Labor Statistics. This showed a vastly smaller pool of oil and gas employment in West Virginia. The category of oil and gas extraction had 2,238 employees in West Virginia in September 2018, the most recent month available. There were an additional 2,786 employees in support activities for oil and gas operations. The total for these two categories works out to about 5,000 — which is a whole lot less than what API found. What gives? Talking to experts in employment data, we found a couple of explanations for the difference. Experts also said that professional services — such as lawyers reviewing lease agreements for drilling — wouldn’t necessarily be captured in the BLS data. The support categories BLS tracks “combine employment from multiple extraction industries, and there’s no way to know how much of that bucket to allocate to coal, oil and gas, or other industries,” said Jed Kolko, chief economist with the jobs site Indeed.com. A third difference is that API’s study included several industry sectors that are outside of the pure oil and gas extraction activities captured in the BLS data. The report lists such categories as oil and gas pipeline construction, petroleum refining, various types of asphalt manufacturing, and gas stations. The inclusion of gas stations may go the furthest to explain the divergence between API’s data and BLS’s. The API report didn’t specify how many of the oil and gas jobs in West Virginia come from gas stations, but in the report’s nationwide data, gas stations accounted for about one-third of all the jobs API tallied in the oil and gas sector. So including gas station jobs helps explain why the API number is so much larger. There’s a third study we can look at, and its figures rest somewhere in the middle of what BLS and API found. It’s the U.S. Energy and Employment Report, which was published most recently in 2019 by the Energy Futures Initiative, a “clean energy” think tank led by former Obama administration Energy Secretary Ernest Moniz, along with the nonpartisan National Association of State Energy Officials. This study is both three years more recent than the API study and also uses survey methods to get the closest approximation of the number of contractors working for the oil and gas sector, as well as how much time they spend working on oil and gas efforts compared to work for other sectors. This report found 4,647 jobs in West Virginia in the oil sector and another 5,816 in the natural gas sector. David Foster, who helped prepare the report for the group, told PolitiFact West Virginia that he would recommend adding in roughly another 5,000 jobs in pipeline distribution in the state to measure the oil and gas sector most accurately. This adds up to more than 15,000 jobs — more than BLS found, but less than API. This figure does not include some of the sectors API included, such as asphalt operations and gas stations. Foster said he doesn’t object to API including gas stations in its total, but his group didn’t dig up that data. So, using the U.S. Energy and Employment report‘s total as a middle ground, and adding gas station employment to it, gets the total up to about 20,000 oil and gas jobs in West Virginia — the minimum necessary for Higginbotham’s “tens of thousands of jobs” to be accurate. Still, the specialists we interviewed were reluctant to choose a single best number for West Virginia employment in oil and gas, suggesting that a range is probably more appropriate. During the 2018 midterm elections, many Democrats across the country argued that they would be better positioned than their Republican rivals to protect Americans’ health insurance provided under the Affordable Care Act. The 2018 election cycle may be over now, but the West Virginia Democratic Party continues to make that argument. The Affordable Care Act provides two primary ways to get coverage — individual policies purchased on online marketplaces and an expansion of Medicaid to a wider group of eligible Americans. We turned to data on both types from the Kaiser Family Foundation. 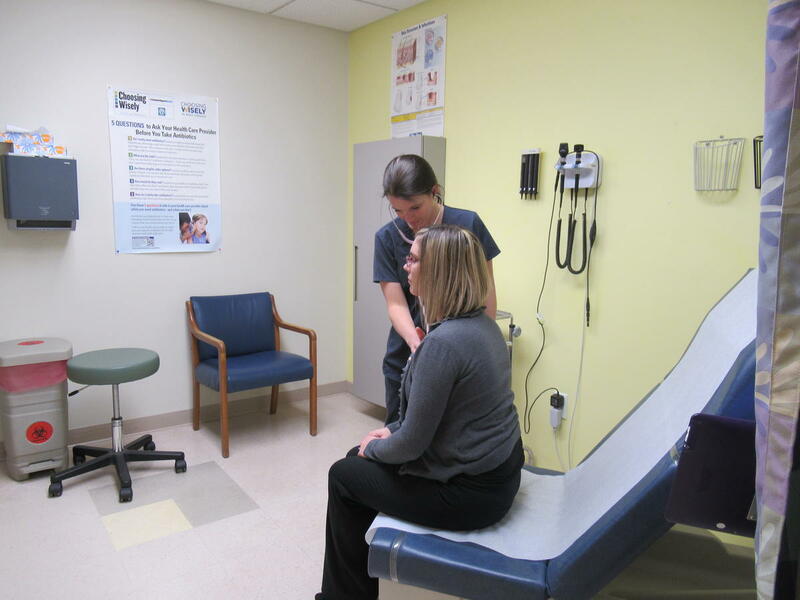 For 2019, the number of West Virginians purchasing health insurance on the marketplace totaled 22,599. Combined, that works out to 205,699 West Virginia residents securing coverage from the law, making the Democratic tweet accurate. 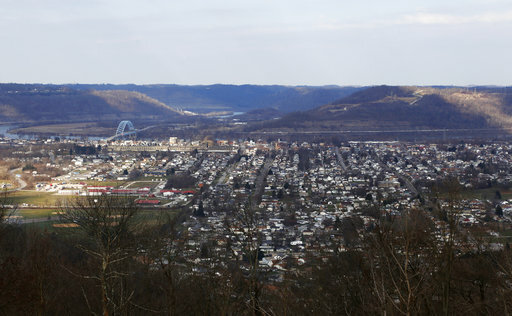 Palosky added that other West Virginians benefited from the law without specifically securing insurance under the law. For instance, the law required coverage of pre-existing conditions and provided more generous coverage of prescription drugs under Medicare. The combination of insurance purchases on the marketplace and the increase in Medicaid coverage works out to 205,699, according to the most recent data available. That’s in line with what the tweet said, so we rate it True. During their most recent legislative session, West Virginia lawmakers took up a bill that would require colleges in the state to allow students to carry guns on campus as long as they possess a concealed carry permit. The bill ultimately passed the House, largely on party lines, before falling in the Senate. During the House debate, one Democratic delegate, Andrew Byrd, argued that passing the bill could keep students from enrolling in the first place. Has there been a significant enrollment drop in states that have passed a campus carry bill? We took a closer look. When we contacted Byrd, he pointed to an article in the Houston Chronicle about international student enrollment declining in Texas, a state that has enacted a campus carry law. “International applications to Texas’ four-year public universities have plummeted over the past year by at least 10,000, a 12.5 percent decrease from last fall, according to a Houston Chronicle review of university data,” the article said. The article cited possible explanations by experts, including Jeff Fuller, a former admissions director at the University of Houston. However, this is not especially strong evidence to support Byrd’s assertion. Byrd said “states,” but Texas is just one state. He also didn’t specify international student enrollment, which the article did. It’s also not clear that campus carry was the primary factor driving Texas’ decline. So we decided to take a broader look at states that enacted campus carry. Pedro Ribeiro, a spokesman for the Association of American Universities, said his group had no systematic data on the issue. So we dug through the numbers ourselves, state by state. According to the National Conference of State Legislatures, 16 states explicitly ban carrying a concealed weapon on a college campus, while in 23 others, the decision is left up to each college or university. For instance, Liberty University in Lynchburg, Virginia, allows campus carry despite the absence of a state law. Tennessee, meanwhile, allows the right for faculty members but not students or the public. When we looked at the data state by state, we found that public university enrollment trends in campus carry states have been, at best, inconsistent. Some states actually saw an increase after the law came into effect. We did not assess Arkansas, because we could not find data for the relevant period. Four states — Colorado, Kansas, Oregon and Wisconsin — did see decreases after passage, though they were fairly small. The campus carry law in Colorado took effect in 2010. Between that year and 2015, the most recent year available, enrollment fell by 5.8 percent. In Kansas, the campus carry law has only been in effect for a little over a year. Between 2017 and 2018, the enrollment decrease was 1.1 percent. Oregon initially saw a 2.9 percent increase in enrollment in 2011, the year its campus carry bill came into effect. Since then, enrollment has fallen by 4.6 percent. Wisconsin’s campus carry law also came into effect in 2011. Through 2015, the most recent year available, enrollment declined by 8.8 percent. Two states saw no clear pattern in their enrollment figures. Mississippi’s campus carry law took effect in 2010. For the first year, the number rose. Enrollment dropped for the next three years, then increased again in 2015, the most recent year with available data. Utah saw an increase after its campus carry law took effect in 2004. Since then, there was a three-year decrease, followed by a four-year increase, another decrease in 2012, an increase in 2013, and another decrease in 2014, the last year for which data is available. The remaining three states actually saw increases in their enrollment. 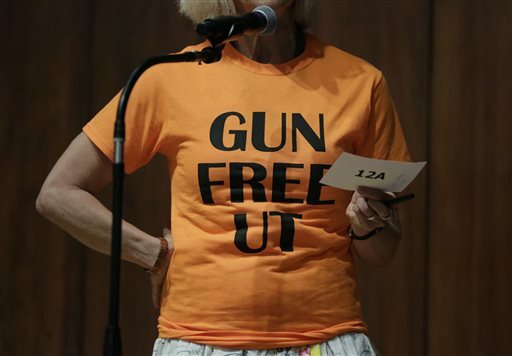 Texas passed its campus carry law in 2016 but data shows a 2.9 increase in enrollment between 2015 and 2017. Georgia’s campus carry law took effect in 2017. Enrollment has increased by 2.2 percent since before the law. Finally, Idaho’s enrollment rose by about 11 percent after its campus carry law took effect in 2014. The most recent data for Idaho runs through 2015. To sum up: Four of the nine states we looked at saw fairly consistent enrollment declines after a campus carry law took effect, while two showed no consistent pattern and three saw enrollment increases. In other words, there was a lot of variability, contrary to what Byrd said. But even in the cases of the states with modest declines, it’s not clear that gun laws were the driving force. Many other factors — such as the size of a state’s college-age population, whether universities are expanding or contracting their offerings, and broader economic forces — can affect enrollment numbers. For instance, improving economic conditions after the Great Recession may have led some students to take jobs rather than enroll in college. David Bills, a University of Iowa sociologist who studies education, said it’s not impossible that there could be some relationship between campus carry and enrollment declines, but he said he’s never seen research on this question. His evidence for this assertion was one newspaper article that speculated that campus carry was a reason why international enrollment has declined in Texas. But that’s a far narrower finding than he indicated — and other factors have as good a claim, if not a better one, for being the driver of that decline. When we looked at the numbers more broadly, there is no consistent pattern in states’ enrollment fluctuations following the enactment of campus carry laws. In fact, a slight majority of states either saw increases or a zig-zagging trend line. And even in the states where enrollment dropped, it is hard to say that campus carry was the reason. We rate his statement False. The president of the West Virginia state Senate, Mitch Carmichael, recently said that students in the state consistently rank well below students elsewhere when comparing test scores. Carmichael made the comments in an interview with Hoppy Kercheval of WV MetroNews Talkline on Feb. 14, 2019. He was discussing the then-current Senate Bill 451 and what the bill could offer both teachers and students. At one point he called improving the state’s education system a moral imperative. We turned to the Nation’s Report Card, an archive of National Assessment of Educational Progress test scores. NAEP was first administered in 1969 and is the largest continuing, nationally representative assessment of student achievement in such subjects as math, reading, science, and writing. The Nation’s Report Card allows users to compare specific states to the nation as a whole in a variety of subjects. This is the main interactive page for West Virginia’s state comparisons. The Nation’s Report Card looks at math and reading scores and organizes states into three categories: “higher” than the target state, “not significantly different” than the target state, and “lower” than the target state. Here’s a chart showing West Virginia’s ranking for fourth graders. The figure shown is the number of states ranked “higher” than West Virginia in the year noted. By this data, Carmichael is generally in the right ballpark, though scores in recent years have had a wider range than he suggested — from 30 to 41, rather than 37 or 38. For eighth grade, the rankings aren’t quite as low as Carmichael had indicated, but he does have the general trend line correct: In most cases, West Virginia’s ranking dropped in math and reading between fourth and eighth grade. What about testing near the end of high school? The data that’s available makes it difficult to say. There are only two years for which data is available at all — and for those years, not every state took part. So while it looks like West Virginia improved dramatically by the end of high school, there were actually so few states participating that each of these rankings represents a last-place slot for that year. Superficially, this supports Carmichael’s assertion — that by the end of high school West Virginia students are “near last.” But since about two-thirds of the states didn’t participate, we really don’t know for sure how well or poorly West Virginia ranked among all 50 states. Judging by the past six years of NAEP rankings, Carmichael’s specific figures are slightly off for fourth and eighth grades, but the trend he points out — a decline for West Virginia between fourth and eighth grades — is accurate and consistent. As for the end of high school, however, while West Virginia does drop to last among participating states, that finding is undercut by the reality that most states did not take part in the testing. That makes it difficult to know how well West Virginia fared nationally.